You may have noticed that I like to use spinners to expand the therapy value of some of my games and teach concept vocabulary. I have some of them as part of my downloads in the vocabulary section. The spinners in my previous downloads are black and white and not very colorful. I decided to update them with pictures and color to make them more friendly for my non-readers. 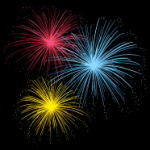 You can access them on TPT for FREE. Just click the button. The spinners are made from the clear plastic lids you find on products such as whipped cream or oatmeal containers. A pony bead, paper fastener and spinner from heavy cardboard or plastic are added. The lids are clear so that the paper form can be placed underneath and still be seen. The paper can be replaced from one activity to the next and the same spinner stays intact. Look below to see my showcase of spinners and the games I use with them. 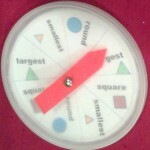 This spinner is used when playing Blockhead or some other block stacking game. It targets the concepts of left and right. 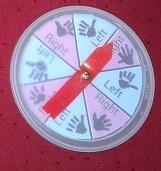 The spinner has the directions of Left or Right with a handprint for cuing. Students take turns spinning the spinner and use the hand that is indicated to pick up a block and stack to make a tower. Point out to the students that when their hands are flattened on the table their left hand will form an L shape with the pointer and thumb. This is another cue they can use to distinguish their left hand from their right hand. 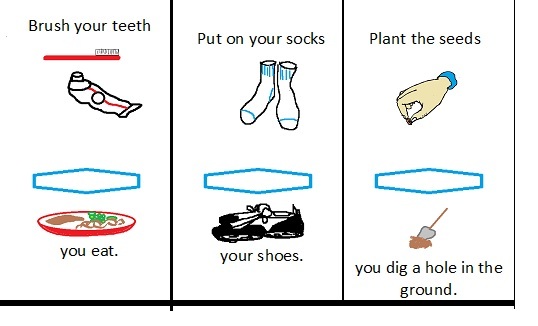 I have used this as a table or center activity with table groups of 6 students in a Kindergarten class. You need bean bags or soft balls that can be tossed, plastic pails and boxes of various sizes and shapes, and spinners with the vocabulary words printed on it. Have the students make a big circle with the containers placed in the center. Instruct the children on how to toss the ball or bean bag safely so no one gets injured. The spinners travel around the circle. 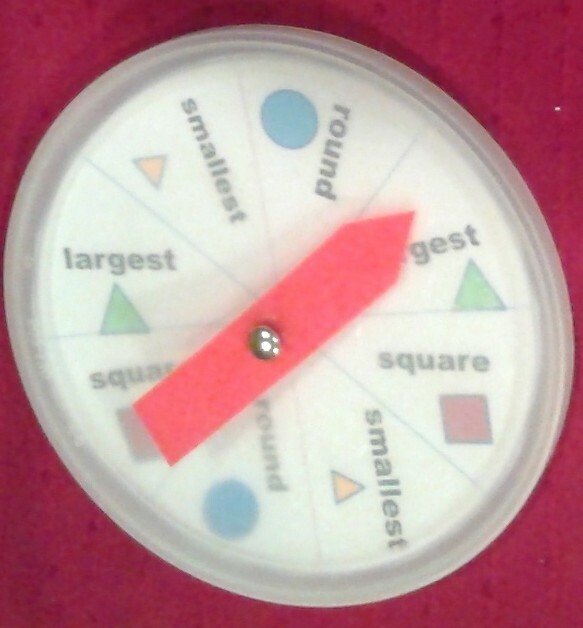 Students spin the spinner and toss the bean bag or ball as required trying to get the bean bag in the appropriate container that matches the word on the spinner. Use the amount spinner, one 2 lb plastic coffee container. A rubber band that fits around the mouth of the container, tissue paper, marbles, cup to place marbles in water, spinner with vocabulary words. Instructions: Put one sheet of tissue paper across the opening of the 2 lb container. Fasten it down by stretching the rubber band around the top of the opening. You may need an extra set of hands to accomplish this. It should look like a drum. Put marbles in the cup and fill with water. 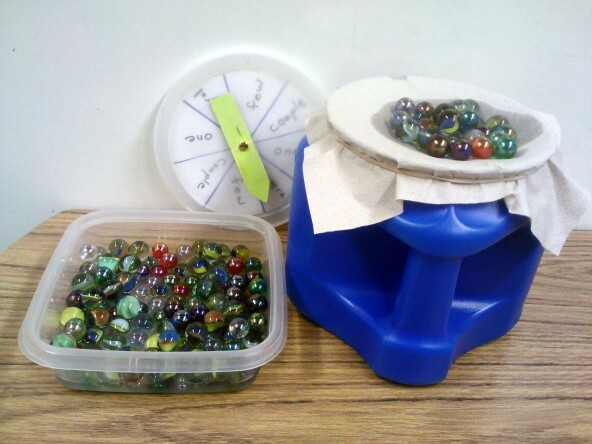 Children take turns spinning the spinner and taking the number of wet marbles indicated. The students place the marbles on top of the tissue paper top. The wet marbles will weaken the tissue paper and eventually fall through. The wetter the marbles the faster they will fall th rough. 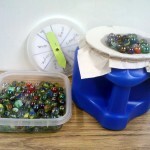 If you are using this activity with table groups they can count the marbles and compare who has the most or least marbles. 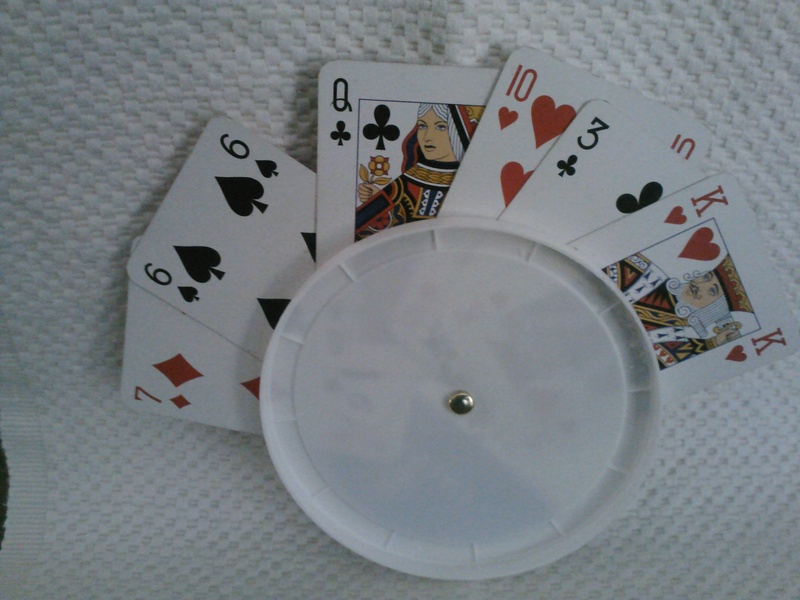 Don’t Spill the Beans is an other game that can be used with the spinner. 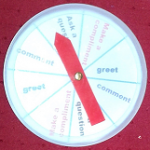 The conversation spinner can be used with any board game that uses a typical number spinner. It works well with games such as Snakes and Slides or Chutes and Ladders. 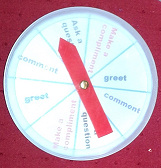 Students try to follow the prompts on the spinner and give an example. During my career there have been certain students who have made a lasting impression on me and aided in my growth as a speech language pathologist. It seemed that fate crossed our paths so that we could learn from each other. I am thinking in particular of a student who I met in her Kindergarten year. Her disability prevented her from speaking or using her arms and legs effectively although eventually she learned how to use her head to control a motorized wheel chair and a laser to activate an Alpha Talker and then a Delta Talker. This is when the field of augmentation communication was beginning to blossom with more advanced electronic devices. This child did not have the outward appearance of much ability other than a beautiful smile. However with her devices her true personality could shine. I will never forget the time I worked with her at her home during extended summer services. She would be going into first grade when school resumed. Her mother reported she had something to tell me. She proceeded to tell me she had seen the movie Pocahontas. That doesn’t seem that unusual except she used her Delta Talker to do it and she had programmed the name Pocahontas into it herself. Those of you who have worked with min speak realize this involves not only getting into the programming mode but also selecting a symbol sequence to represent the name. She did all of this using a laser attached to a head band. She had learned the programming by watching me during other sessions. I learned not to underestimate her abilities when motivated. She would be in her twenties now. I lost track of her after her elementary years but I think of her often. She reminds me that our first impressions of a student’s capabilities are not always correct. How does this get us to Don’t Break the Ice you ask? Well it was difficult for her to play with her peers and have normal interactions. I was always searching for games I could adapt. Don’t Break the Ice was one of the games I adapted so she could play too. I basically took the orignal game and put masking tape along two sides. I then color coded the rows. 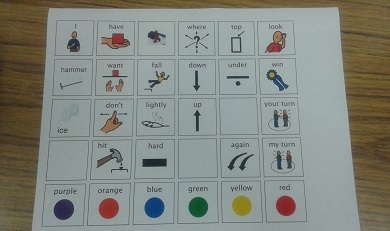 This allowed her to tell another student what block of ice she wanted to be hit out by saying two colors. Where the colors intersect is the block chosen. She used her voice output system to communicate. The set up was also useful for other students using a communication board. You can color code a dice or spinner. Students roll a dice and then say what color they have or will hit out. It is good for I want, I have, I need statements. Recently, I was looking for new books to add to my therapy collection and noticed that a favorite series of mine are still available. 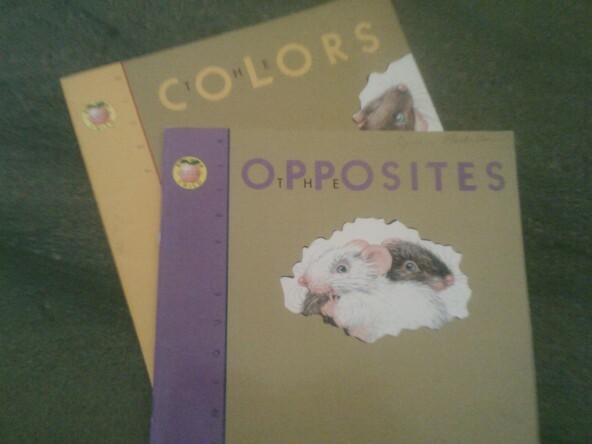 It is the Mouse Books by Monique Felix. I have 2 of them and I see there are more in the series now. I bought mine years ago so the covers have changed. They are still very reasonable in the $12 range. I originally bought mine for $3 which is very telling to how old mine are. 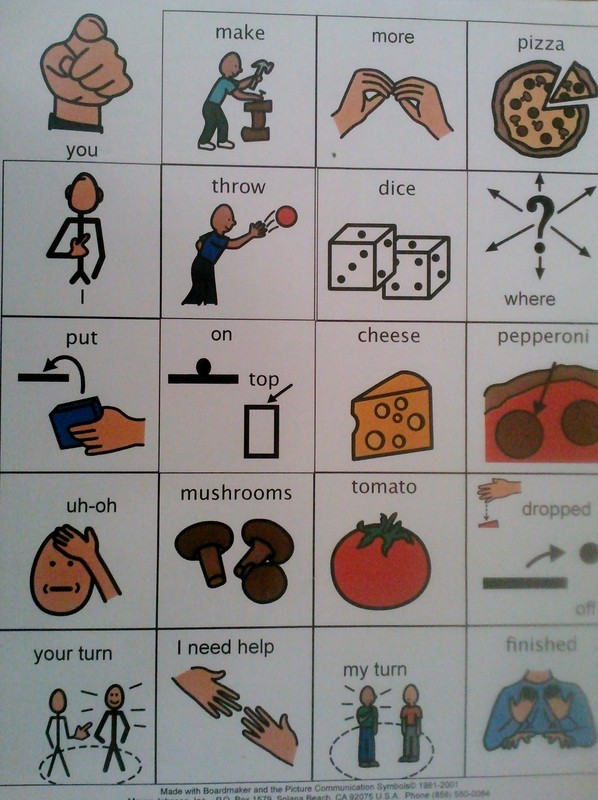 The books are great for getting language samples because they do not have words, only pictures. I have used them frequently for my younger students. 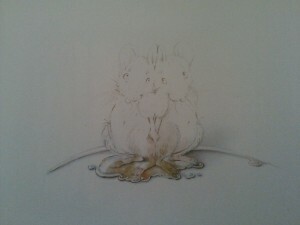 The mice are engaging. The books are great at eliciting comparison and descriptive vocabulary. Because they tell a story in a sequence of events I can also get a variety of verb tenses. I can tell if the student recognizes there is a story sequence. This is all valuable information to get informally to compare how students do with standardized testing. Because I use them frequently, I can tell what the average student can do and when they are struggling. 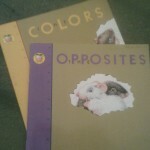 Here is a bit of an inside view of The Opposites book. There is a white mouse and a dark mouse that do opposite things throughout the book until the surprise ending. 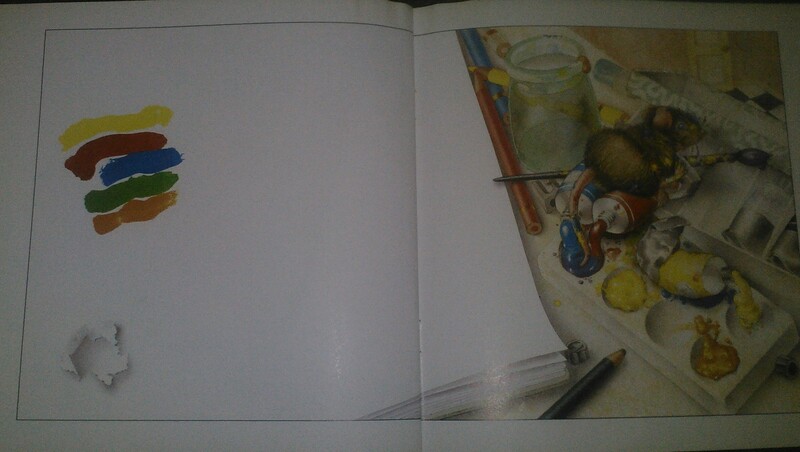 The Colors book illustrates the antics of a mouse in an art studio and explores mixing colors. If you are looking for new books, you will not be disappointed in the number of ways you can use these. Teachers Pay Teachers is having their Back to School Sale on Aug 4th and 5th. If you are waiting for the right time to get back to school materials, now is the time. Don’t forget to use the Promo code when you check out to get the full discount. In a previous post I mentioned how I worked with students to recognize comments and questions and how they should make a reply. I made comment and reply cards last Spring. I have since updated them to include pictures. I’m putting a trial set here for my readers to try out. If they look like something you could use, the full set is on Teachers Pay Teachers. Quick link to Teachers Pay Teachers. 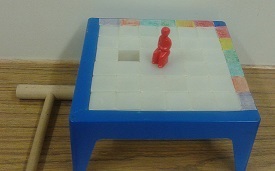 I have some of my therapy games home for the summer since I had grandchildren visiting. I noticed that I missed putting this one up on the blog. 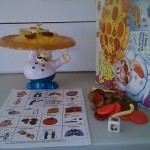 Poppa’s Pizza Topple is a game I found at a garage sale a few years ago and I think it is still being sold in a few stores. It is a game my students enjoy no matter what their ability level. Pizza seems to be a favorite food of most children. I have used this game with students who are working on basic communication skills such as turn taking and making requests. 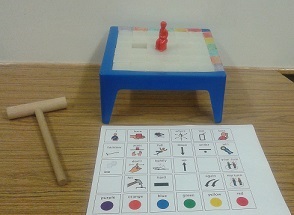 It can easily be adapted for students with limited verbal abilities by adding a communication board. It also works well as a simple reinforcement for doing therapy tasks. At the most simple level, just use the pizza crust and have the student request ingredients and place them on the crust. 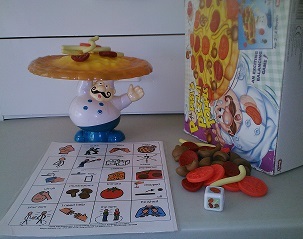 At the most difficult level, students place the ingredients on an unsteady pizza crust propped up on Poppa’s finger. They pick up the ingredients according to what is rolled on the dice. I recommend picking this game up and adding it to your collection if you get the chance. I had a request to show the communication board. I do not have Boardmaker available on my home computer to open this board. I ended up taking a picture of it. It will give you an idea of the symbols used. We did it. Hopefully you have found yourself at the new web site. You may be finding yourself here because of a redirect from the old site. Please change any book marks you have to reflect the new url address. Subscribers have been transferred over so you should not have to subscribe again. There may still be a few glitches but I think you will find most of the material that was on the old site has been transferred here. Let me know if you can’t find something. There may still be some glitches but I think we are fully operational. I hope you find this site easier to navigate and enjoy not having the ads pop up. Thanks for being patient while we made the changes. Students are sometimes referred to Child Study Team (CST) because of difficulties relating to peers. Concerns revolve around the student saying inappropriate things, being picked on and starting fights on the playground. When you talk to the student, you may find they have limited interests and talk excessively on one topic. They have difficulties taking turns during a conversation. In their attempts to enter a conversation they say something that can be perceived as an insult or bragging. This results in a fight or peers not wanting to interact with them. The student then feels picked on or shunned. Sometimes these students have a diagnosis of Aspergers or high functioning autism and are on our caseloads. They may need direct instruction on how to have a conversation. Learning the art of having a conversation can help alleviate some of the difficulties. However, it is a very difficult skill to teach without structure. Left to their own devices, the a session may go something like this. A student will start a topic of high interest to them. The other students interrupt to make off topic comments. One student dominates the topic with multiple comments until another student manages to derail to another topic with multiple comments. It becomes a competition to control the topic rather than enjoy an exchange of information. No one feels they have been listened to and arguments occur as they interrupt each other. Each student feels that only their topic and comments are right. I have actually had a student say they won because they had the most papers out. How do we provide structure so it becomes a learning task? It is important to break down skills in in smaller increments so they can understand and practice. 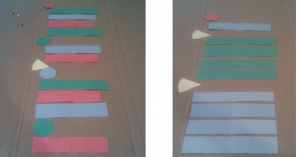 I have used colored paper shapes as visual cues to illustrate turn taking, topic changes and questions and comments. Can you guess which conversation is interactive with multiple people talking about a topic. Which conversation is more likely people talking for themselves? During this process I have discovered many of our students do not know how to start a conversation or recognize when another student is giving them an opening to start a conversation. They may not see the differences between a question and a comment and do not understand the hidden expectations of both. When a comment is said, they may misinterpret its intent and not respond appropriately. I made comment and reply cards so that my students could work on this directly. There is a full set at the TPT store. You can reach them directly by hitting the button at the top of the page or the button below. There is also a set of trial cards here. Before we had smart phones and iPods many of us remember playing cards when waiting any length of time with a group. Sometimes it is good to look at the old traditional card games because there is a reason why they had staying power. Children still like playing them. Card games such as Go Fish, Rummy, Old Maid, Crazy 8 and UNO can meet a lot of different therapy needs as well as provide a recreational activity for disabled students to mix with non disabled students. You may remember we used a game of UNO in our “Circle of Friends Group” to work with a student who performed on academic grade level but was severely impacted socially by Autism. http://cjmonty.wordpress.com/category/circle-of-friends/. Card games have the advantage of engaging a number of students of different ability levels within a structure. They provide lots of opportunity for modeling by peers in predictable interactions. The use of card games provides a training ground to reinforce social skills some students need to develop in order to participate in a group and have a conversation. It also allows the peer group to interact with a disable student and see them as a person they can develop a friendship and play with. Our high needs students benefit from some preparation such as communication boards, video modeling and visual cue cards. Many of my students I work with in the Life skills Programs are working on skills such as maintaining focus with a group, staying on topic, realizing their turn, the turn of others, perspectives of others, and appropriate emotional control with unexpected events. 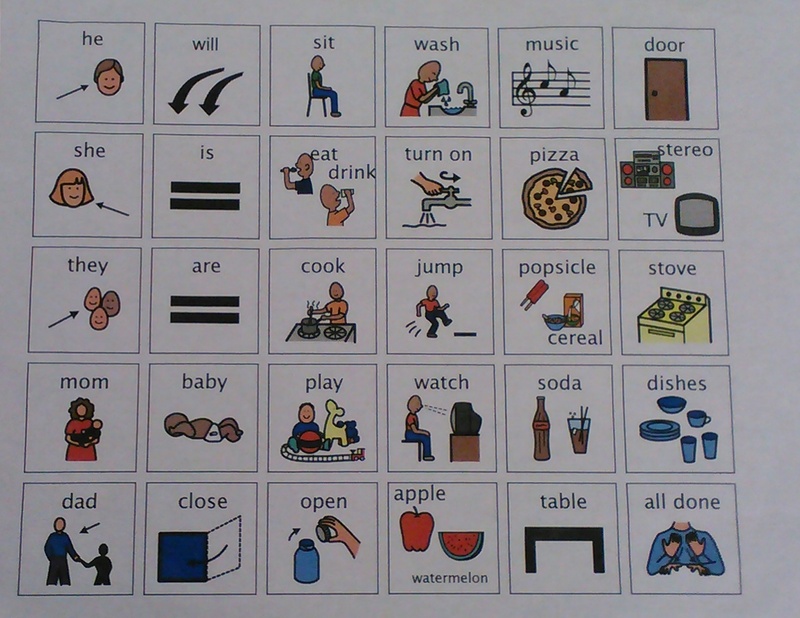 In addition, they may be working on vocabulary and following directions. I have collected free downloads of some traditional card games. I hope this will make it easier for some of your planning for next school year. Some of these have the advantage of using specific themed vocabulary. There are some creative variations on the internet. However this particular game is under copyright so I didn’t feel I could post them. The regular game is very useful for working on following directions. 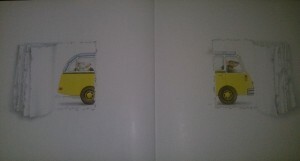 I have used cards that come in pairs such as opposite cards, and plurals. Just add a blank card that does not match with the others for the old maid. This is a fairly recent card game that seems to have a lot of potential for small groups. Students need to maintain focus to stay with the group and participate. If you need help remembering the rules this is a good place to look them up. The school year is coming to a close and it will be time to return the iPads to the technology department. We don’t always get the same iPad back in the Fall. If the technology department has completed updates it is possible they come back wiped clean. I didn’t keep a list of apps last year and I regretted that. I decided to post my most used apps on the page now called Videos and Apps. Maybe you will find one you haven’t discovered yet. They were all free when I originally downloaded them. I thought I would also write a bit about how I use what I call my Pretend Play apps. Three of my favorites are Toca Hair Salon, Toca Monsters, and PlayHome Lite. 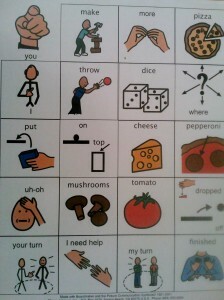 I use these boards frequently with my students in the Life-skills programs. I have found I need to create a lot of structure and routine or it becomes the student making a lot of random hits on the screen and basically zoning me out. If there are two students, it is often difficult to get one student to give up their turn to the other student. I don’t find a session very fruitful under these conditions. Maybe you have had that experience too. I have found that adding activity based communication boards to go along with the apps adds the structure and the control I need. I use Boardmaker to make the communication boards and usually start with a pretty basic framework. My pronouns and nouns are on the left side of the board. 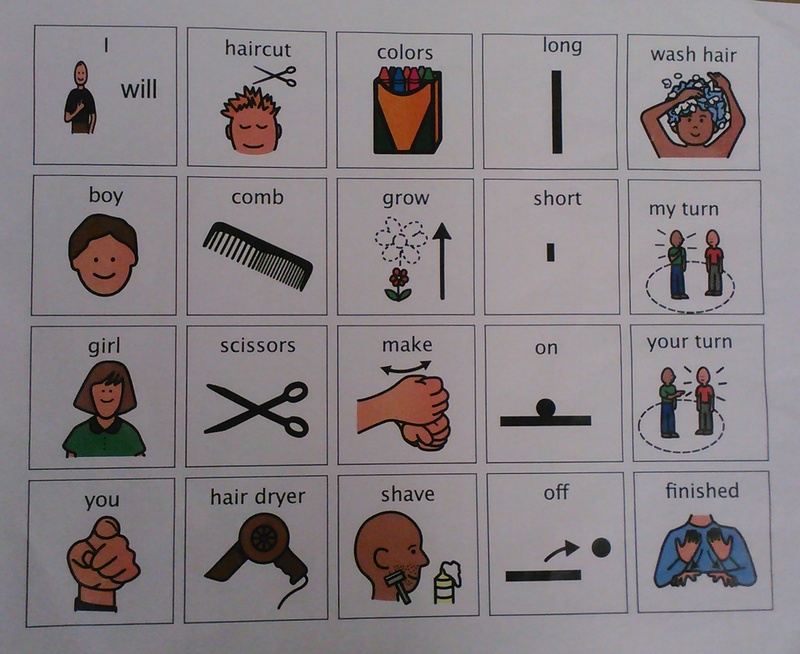 The next section contains the verbs needed, then prepositions and adjectives. I leave the right side for my My Turn, Your Turn, Finished, exclamations like Oh-no, and Do it again. By keeping the basic framework the same, the student becomes familiar with the icons and knows where to look for them. You do too which makes it easier to model the sentences. If you keep your framework similar, you can make new boards easily by using the same framework and only replacing the vocabulary you need for the new activity. I use plastic protectors and just slip the new board in. This has saved me from laminating. Quite a few of my students are working on using two to three word phrases using carrier phrases such as “I have____”, “I want____”, “I need____”, and turn taking. I require them to use words or the communication board before manipulating something on the iPad. They then indicate Your Turn to the next student. I model this behavior as I play with them and it isn’t long before they are talking with me in a more natural context. It also works if you are working on subject pronouns and verb forms. I model which tense of the verb I want them to use such as future tense on something they “will” do. I am posting pictures of two of my boards I use with the apps “Play Home Lite” and “Toca Hair Salon”. Has anyone else discovered this works for you? It is Spring Break for me. I have time to get some creative juices flowing. Just before break, we had our annual book fair. One of the hot items was a “Top Secret UV Pen”. I was lucky enough to get one before they sold out, although teachers were saying it was one of the main items they had to confiscate later after multiple reminders to put it away. Maybe I should have just waited and one would have come my way. Anyway they are pretty inexpensive, in the $3 range. Book fairs are not that different from school to school so maybe you have seen the pens too. I know you are itching to try it out so I am providing the perfect opportunity. When I saw this item an idea came to mind. I knew my students enjoyed a Super Duper item that had a decoder light. I thought I could make some of my cards more motivating by using it in the same way. It would be perfect for my before and after cards. Many of my students have difficulty with the semantics of when to use before or after. I made a deck of before and after cards with pictures for my non readers quite a few years ago. They were lost in my move last Spring and I dearly missed those cards. Unfortunately they weren’t digital. This pen motivated me to make another set. This time I left a frame where I used the UV pen to write before and after depending on the sentence. The students can light up the answer to see if they are correct. The cards are still very useful even if you don’t have the UV light. I made a free set of 9 cards on 3 pages for you to try out. If you have the UV light you can add the light the answer feature. I am not sure if the UV will work if they are laminated. I’ll have to see when I get back to work. Anyway try out these free cards and if you want more I’ll have a set of 30 at the TPT store. Click on the button at the top of the page and it will take you directly there.